The aroma of freshly brewed coffee and the noise of an espresso machine filled Cupable café on a cloudy Tuesday morning. Located on Jl. Kaliurang in Yogyakarta, the café is so small that the customers can hear the sound of potatoes being fried in the kitchen. Eko Sugeng, the barista in charge that day, carefully poured milk into a cup of hot coffee he was making. His attention sometimes went to the kitchen to ensure that his French fries were not overdone. Instead of waiting at the table, a customer was leaning toward the espresso machine to see how the barista was making her hot cappuccino. For her, the way Eko operated the coffee machine was worth watching. “[Eko] is an inspiration,” she said. Eko, 33, is a disabled barista. He relies on his upper arms to work since an accident took his lower arms away. Founded by entrepreneur Banu Subagio in 2017, Cupable empowers people with disabilities and changes people’s perception of them. 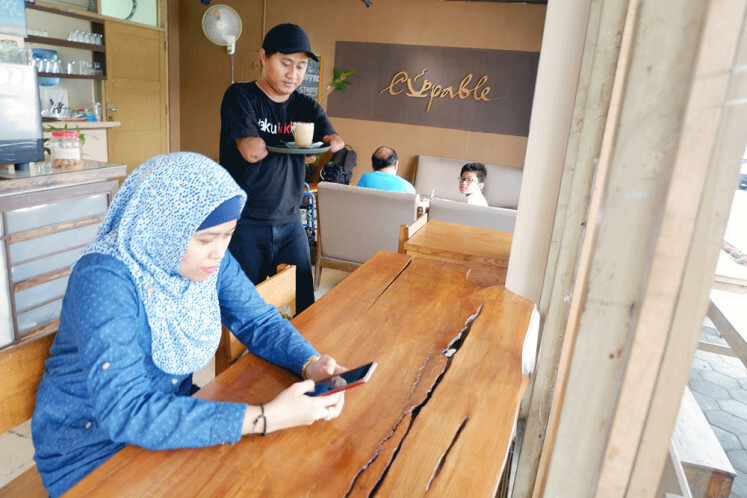 The café, however, is not exclusively for the disabled; it also employs three able-bodied baristas, including Arka Pawiwit Nugraha. “[The name] Cupable [stands for] Cups for Empowering Disabled People,” said Arka, who also serves as Eko’s mentor. At the café, the disabled and able-bodied baristas hold the same position with the same job description, from steaming milk and grinding coffee beans to brewing and serving coffee. Back in 2002, Eko and a relative of his were installing a TV antenna when a high-voltage power line suddenly electrocuted them. “My relative died on the way to the hospital. My doctor said it was a miracle that I was still alive,” Eko, the father of one, said. However, the lower parts of Eko’s two arms were seriously injured, forcing the doctor to amputate his arms to save his life. The amputation dragged him to the lowest point of his life. Eko admitted he had once planned to commit suicide while thinking his future would be bleak. Eko’s life turned brighter when he worked as a receptionist at the Yakkum Rehabilitation Center, a rehabilitation center for the disabled located next to Cupable café. Eko’s journey to becoming a barista started in July, when he took part in Barista Inklusif, a one-month coffee-making training program for marginalized people, such as the disabled, victims of violence and followers of native faiths. The program was jointly organized by Yakkum, Cupable and the Asia Foundation. At first, Eko was reluctant to join the program. He suspected it would be tremendously hard for someone with no hands to make a cup of coffee. But thanks to encouragement from his supervisor in Yakkum, Eko took a shot. His worries quickly faded away as the program commenced. When learning to make coffee with a v60 coffee dripper, he managed to lift a gooseneck kettle with his upper arms and pour water over coffee. He just needed to cover the hot kettle with a napkin to avoid burning his arms. “At first, it was so difficult to raise the kettle, but as time went by, I got used to it,” Eko said. 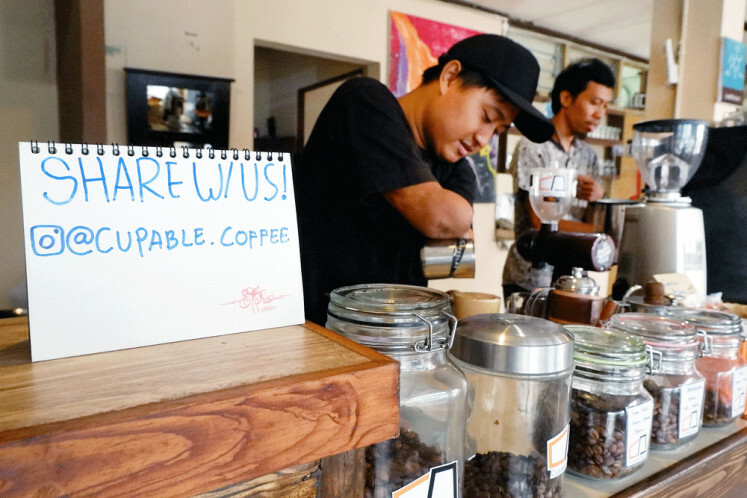 Like Eko, another Cupable barista, Ade Amita Bacan, was not born disabled. He uses a wheelchair since a big steel gate was accidentally detached and fell onto him in March 2017. “My backbone is seriously injured and both of by legs are totally paralyzed,” the 27-year-old said. Ade, who also went through the Barista Inklusif training program, said he faced no challenges when serving customers. The space between the tables and chairs is quite sufficient for him to move freely to every corner of the coffee shop. 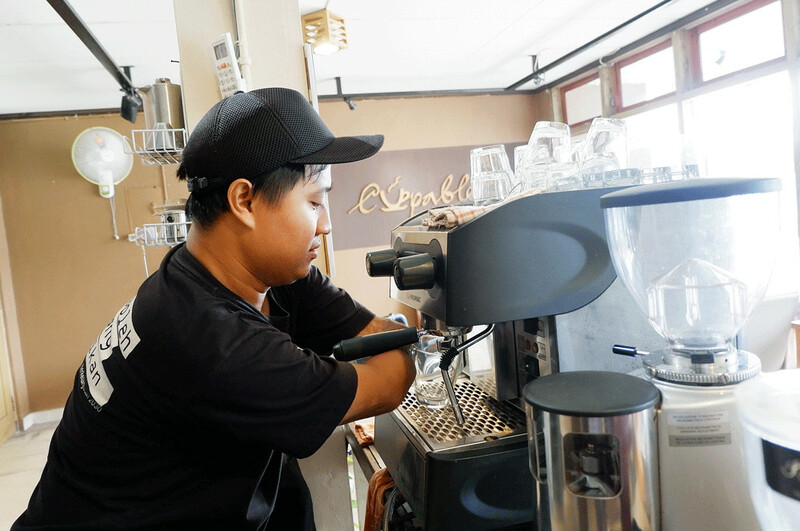 Aside from his role as Cupable’s barista, Ade also supplies roasted coffee beans to the café. “I buy the green coffee beans from Gayo in Aceh and Temanggung in Central Java,” he said. 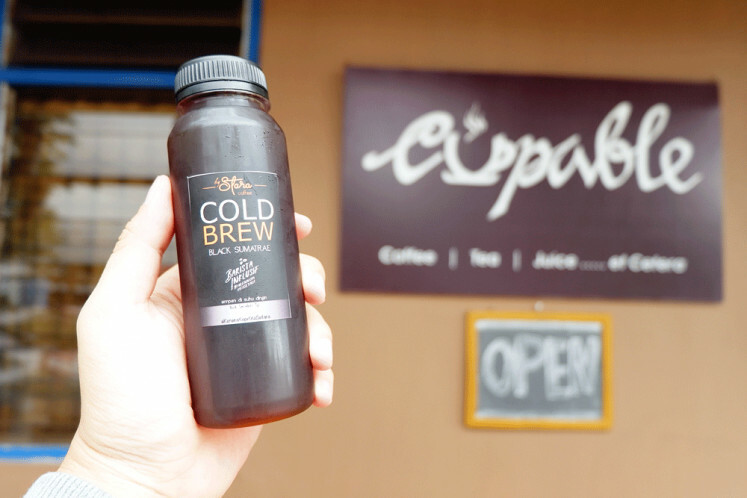 Ade also produces bottled cold brew coffee under the brand of Setara Coffee (Equal Coffee). Speaking of the future, Ade and Eko hope to build coffee shops of their own someday. But for now, they are content to be part of Cupable and focus on honing their skills in putting beautiful swirls and patterns on caffè latte. “It takes a lot of effort to make [great] latte art,” Eko said, laughing.